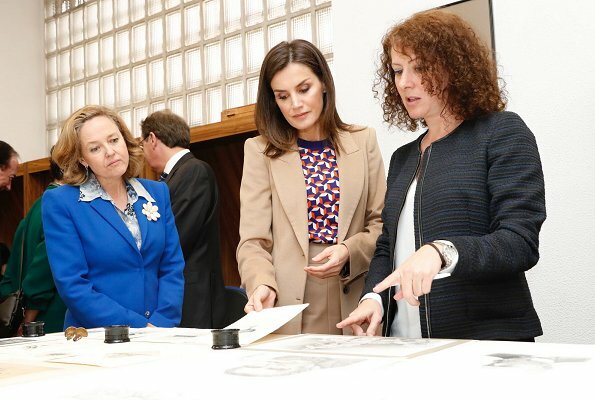 On April 8, Queen Letizia visited the School of Engraving and Graphic Design, which works to provide a public, personalized and high quality education in the fields of artistic engraving and graphic design especially related to the activities of the National Currency and Stamp Factory. 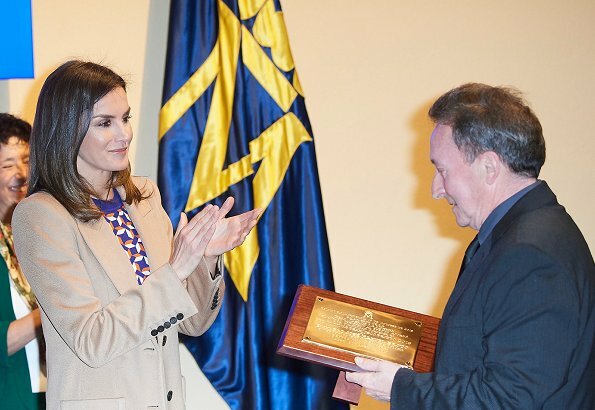 Queen Letizia presented the XXIX edition of the Tomás Francisco Prieto Prize of Medallística to the Zaragoza artist José Manuel Broto. 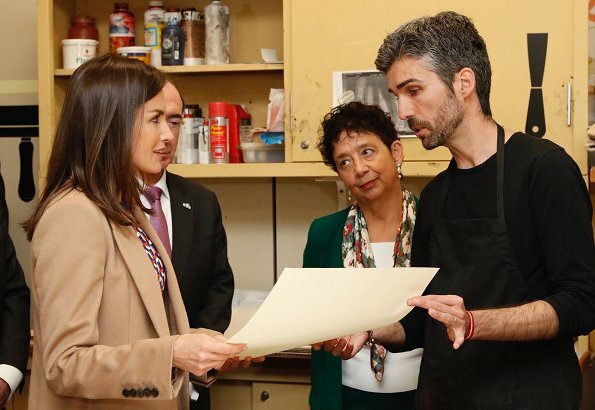 That prize is awarded annually by the National Factory of Currency and Timbre-Real Casa de la Moneda to the artists who have contributed to the improvement of that art. Sie trägt seit ein paar Wochen wieder eine neue Haarfarbe/Tönung, oder? Auf manchen Fotos wirkt das Deckhaar teilweise grau-silbrig bis lila. Not a fan of this outfit. Nice coat skirt not bad if only beige. The top makes me dizzy. 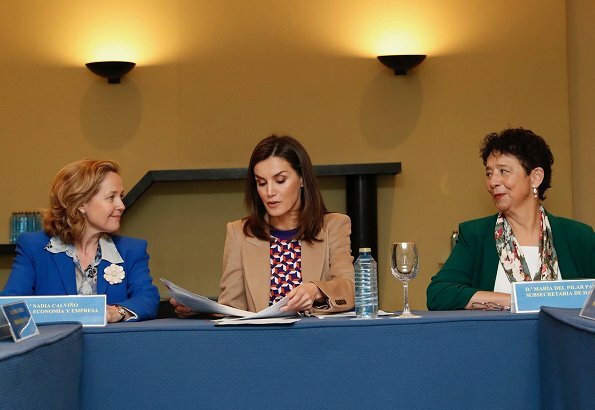 Letizia must like it or she would not wear it. I am glad she is recycling her cloth. Her smile is nice. Strongly dislike that kind of (70s retro?) top. Wouldn´t like it in any combination. 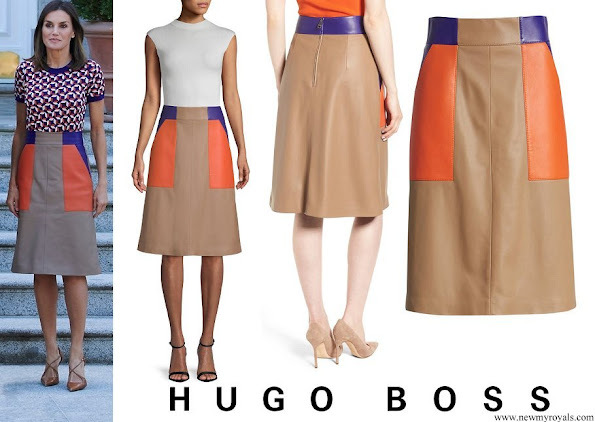 The skirt is nice, despite those coloured patches. 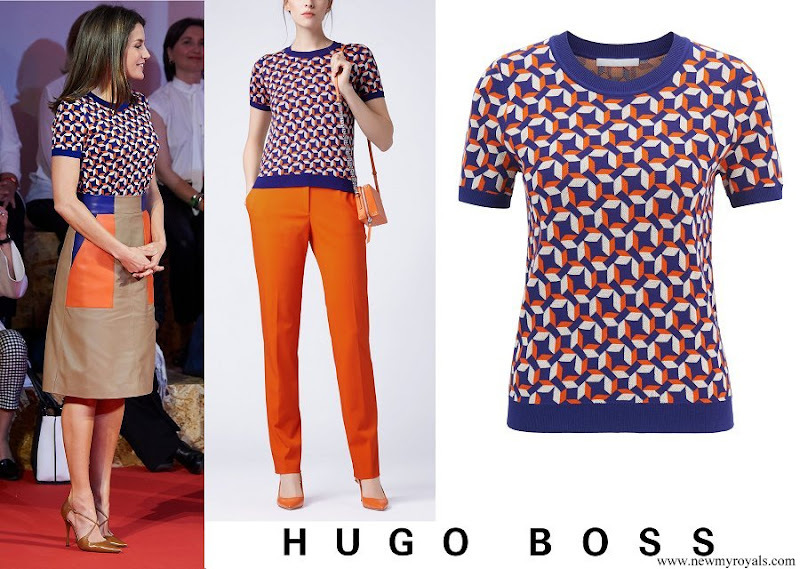 But since they´re there, a neutral (ideally white) top is called for. The combination of top and skirt is too much, even though the colours match. The coat is very nice. This outfit was first worn for a meeting with children wearing very colourful African prints. The outfit is a matched set of solids and prints. It is very difficult to dye different fabrics to match the colours perfectly. That is the object/triumph of this set.. likely inspired by vibrant use of colour in their clothing by indigenous people (see the Sami up north, Peruvian skirts, or any African country. A white top would look garish amid the camel and color patches. If she sticks to gray black and red(boring) gets out of the colors zone (dizzying). It's true prints are not for everyone. Juste the coat but the skit and the top not at all . 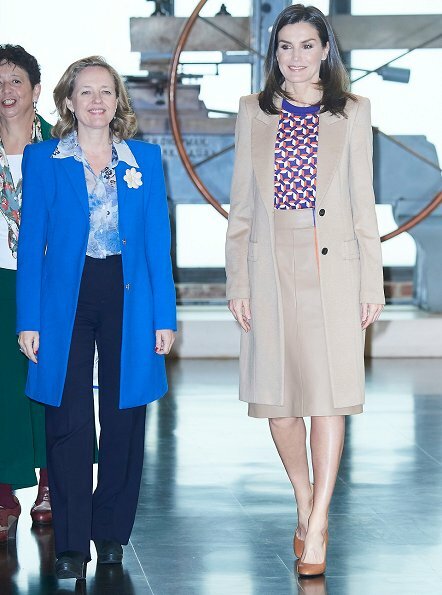 While I am usually a fan of Letizia's fashion, this is not a look I have ever liked. I appreciate that she recycles many of her looks, but I do wish this one would be retired. At least the jacket covers up the patches on the skirt. I love her outfit. To me it represents both sides of Spain's artistic contribution to the art world. 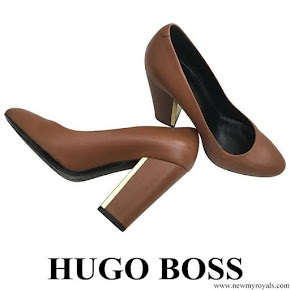 Both classical interpretation and their modernistic, avant garde styles. Bravo! I truly like this top combined with the ever elegant coat, it's very colorful, and I am partial to geometrical prints, I am glad that the coat covers much of the skirt which I could never love. Good choice of chunkier shoes for this outfit, it gives her a little retro vibe.I applaud the fact that she repeats outfits, well done!! Muy conseguida la armonía de color beige entre el abrigo y la falda y el top pone la nota fresca y animada. Conjunto atrevido y contemporáneo. El maquillaje y el peinado, sencillo y ligero. Bellísima.